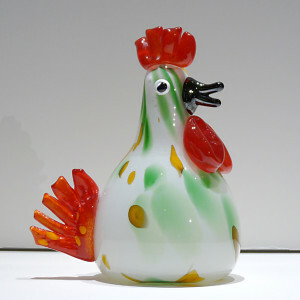 Glassblowing is my life’s passion. 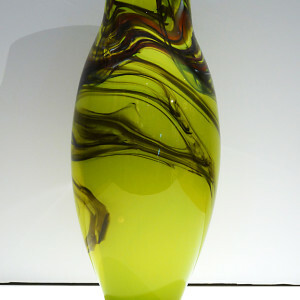 I am attracted to the mystical qualities of fluid glass. It is truly challenging to manipulate and persuade a media that you can’t touch with your hands. 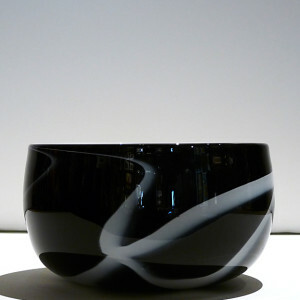 Instead I have to rely on different methods of shaping and forming the glass, such as wood blocks, wet newspaper, gravity, a steel marver table and tools. 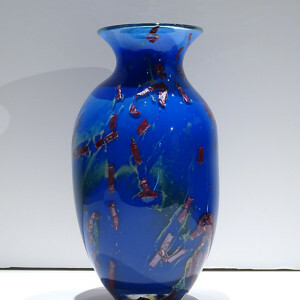 I love the sensations that come over me when working with the hot glass as I explore possibilities of mixing color schemes while coaxing it into a beautiful piece of art. 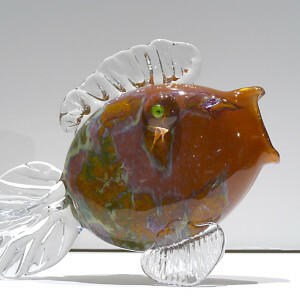 With each piece I create, I try to pass on my passion for glass to the eventual owner. I am a husband, father, and grandfather. I have resided in River Falls, Wisconsin my entire life. My full-time job is property management for the family business. I’m also an assistant chief on the volunteer fire department for the City of River Falls. 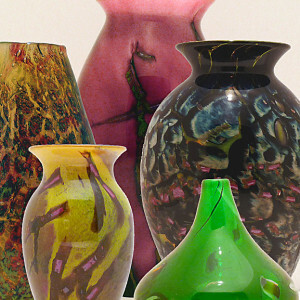 I first experienced glassblowing as a student-athlete at the University of Wisconsin- River Falls in the early 1970’s. I received a degree in K-12 physical education and health and human performance in 1999, going back to school after a serious neck injury forced me to make a lifestyle change. 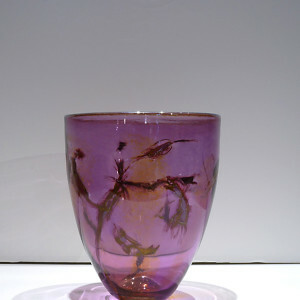 In 2002 I re-enrolled at the UW-RF to study studio glass to keep my teaching certificate current. 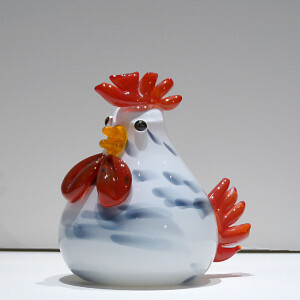 Over the next six years the draw to hot glass became so strong that it changed my future. It was the late 1970’s that I started a sandblasting and sign making business. Along with the talents of local craftsmen, the business featured sandblasted redwood signs, monuments, and etched windows and mirrors. The intricate processes in creating these designs gave me a newfound fascination the influence silica sand had over me. It was during this time frame that I knew I would return to the “glory hole” someday. 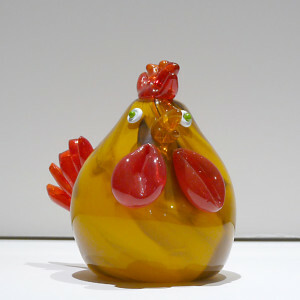 Glassblowing has now become my life’s passion. 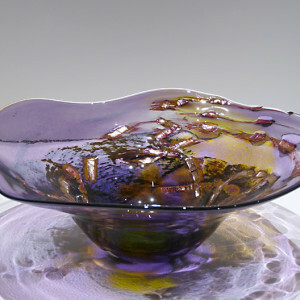 I am attracted to the mystical qualities of fluid glass. It is truly challenging to manipulate and persuade a media that you can’t touch with your hands. Instead I have to rely on different methods of shaping and forming the glass, such as wood blocks, wet newspaper, gravity, a steel marver table and tools. 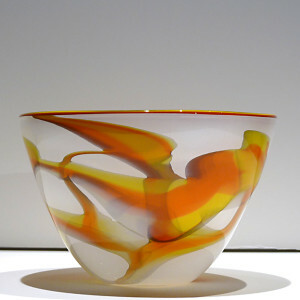 I love the sensations that come over me when working with the hot glass as I explore possibilities of mixing color schemes while coaxing it into a beautiful piece of art. 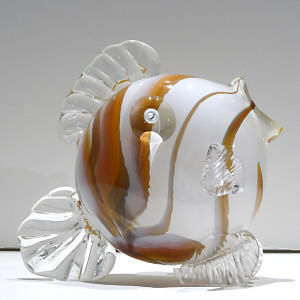 With each piece I create, I try to pass on my passion for glass to the eventual owner.